Thomas Christiansen confirmed Chris Wood is almost certain to sign for Burnley after missing Leeds' 2-0 win over Sunderland. The writing appeared to be on the wall when Wood was omitted from the squad at the Stadium of Light, where Leeds maintained their unbeaten start to the campaign with a fine display. And Christiansen revealed the player has rejected a new deal at Elland Road, with the club accepting a bid from the Clarets. "The possibility to go to a Premier League club is interesting for him, and probably the money is also much better," said the boss. "But he was recognised and appreciated player at this club and everyone has to respect his decision. "He's a professional and if that's his thought we have to respect it. I personally hope he will do fine. I don't have anything against him, he's a good guy, a good player and he's given until now what I expected of him. "Now he's not part of the team so from now on I prepare not to speak about players who aren't mine." 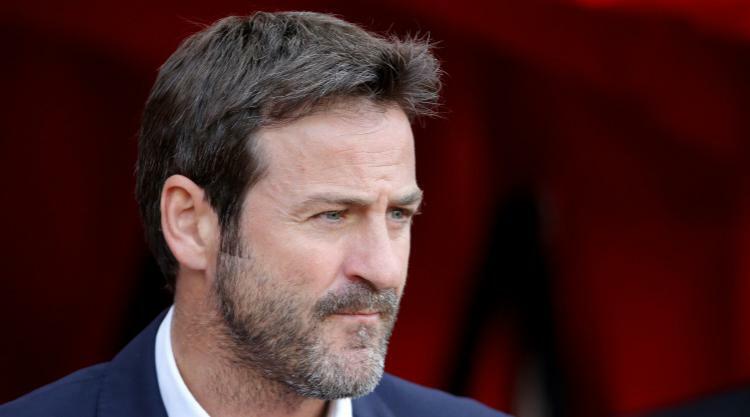 Christiansen hinted Leeds will move quickly to bolster their attack - especially after Wood's replacement, Caleb Ekuban, limped off injured in the second half. "It's obvious that we need to sign a striker," he added, "and we're in a little bit of a hurry because of the situation with Caleb. "We'd been working on looking at players and we have a list of players who we have approached." Wood's absence was hardly felt at Wearside, where goals from Saiz Alonso and Stuart Dallas secured the spoils. Christiansen said: "I'm very happy. I can honestly say that after what happened in the last few days, to take the three points against a very good team, I'm delighted. "I'm happy especially about the performance of the team and the big effort they made. We showed that it's not a question about one player. "We are a team, we worked as a team and we won as a team." His emotions were in stark contrast to opposite number Simon Grayson, who tasted defeat for the first time at Sunderland against his former club. The manager said: "The players kept going and worked hard. "We just lacked the real quality in the final end of the pitch which really matters." Grayson also confirmed Sunderland are keen to sign West Ham winger Robert Snodgrass, although he admitted a permanent deal is out of the question. He added: "I can tell you now that we won't be buying Robert Snodgrass because of the fee and wages that come with it. "The only way we'll get him is a loan deal. There won't be too many clubs able to afford him in the Championship, if they can they have serious money. "But he's a player I like and will ask the question about his availability, like a lot of other managers."